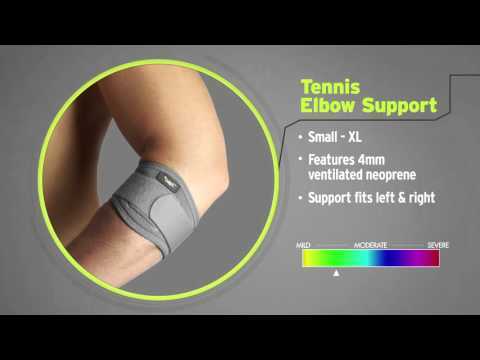 Helps relieve the pain caused by repetitive strain of the forearm, tennis or golf elbow. This strap prevents the forearm muscles from expanding to their maximum during contraction, thus relieving the tension on the tendon. A nylon support with slight elastic properties that fits immediately distal to the elbow joint. Tension is adjustable by a velcro strap.